Yan Zhang received his BS in communication engineering from the Nanjing University of Post and Telecommunications, China; hisMS in electrical engineering from the Beijing University of Aeronautics and Astronautics, China; and his PhD from the School of Electrical & Electronics Engineering, Nanyang Technological University, Singapore. He is an associate editor/editorial board of Wiley International Journal of Communication Systems (IJCS); the International Journal of Communication Networks and Distributed Systems (IJCNDS); Springer International Journal Ambient Intelligence and Humanized Computing (JAIHC); the International Journal of Adaptive, Resilient and Autonomic Systems (IJARAS); Wiley Wireless Communications and Mobile Computing (WCMC); Wiley Security and Communication Networks; the International Journal of Network Security; the International Journal of Ubiquitous Computing; Transactions on Internet and Information Systems (TIIS); the International Journal of Autonomous and Adaptive Communications Systems (IJAACS); the International Journal of Ultra Wideband Communications and Systems (IJUWBCS); and the International Journal of Smart Home (IJSH). He serves as industrial liaison co-chair for UIC 2010, program co-chair for WCNIS 2010, symposium vice chair for CMC 2010, program track chair for BodyNets 2010, program chair for IWCMC 2010, program co-chair for WICON 2010, program vice chair for CloudCom 2009, publicity co-chair for IEEE MASS 2009, publicity co-chair for IEEE NSS 2009, publication chair for PSATS 2009, symposium co-chair for ChinaCom 2009, program co-chair for BROADNETS 2009, program co-chair for IWCMC 2009, workshop co-chair for ADHOCNETS 2009, eneral co-chair for COGCOM 2009, program co-chair for UC-Sec 2009, journal liasion chair for IEEE BWA 2009, track co-chair for ITNG 2009, publicity co-chair for SMPE 2009, publicity co-chair for COMSWARE 2009, publicity co-chair for ISA 2009, general co-chair for WAMSNet 2008, publicity co-chair for TrustCom 2008, general co-chair for COGCOM 2008, workshop co-chair for IEEE APSCC 2008, general cochair for WITS-08, program cochair for PCAC 2008, general cochair for CONET 2008, workshop chair for SecTech 2008, workshop chair for SEA 2008, workshop co-organizer for MUSIC’08, workshop co-organizer for 4G-WiMAX 2008, publicity co-chair for SMPE-08, international journals coordinating co-chair for FGCN-08, publicity co-chair for ICCCAS 2008, workshop chair for ISA 2008, symposium co-chair for ChinaCom 2008, industrial co-chair for MobiHoc 2008, program co-chair for UIC-08, general co-chair for CoNET 2007, general co-chair for WAMSNet 2007, workshop cochair for FGCN 2007, program vice cochair for IEEE ISM 2007, publicity cochair for UIC-07, publication chair for IEEE ISWCS 2007, program cochair for IEEE PCAC’07, special track cochair for Mobility and Resource Management in Wireless/Mobile Networks in ITNG 2007, special session co-organizer for Wireless Mesh Networks in PDCS 2006, a member of the Technical Program Committee for numerous international conferences, including ICC, GLOBECOM, WCNC, PIMRC, VTC, CCNC, AINA, ISWCS, etc. He received the Best Paper Award in the IEEE 21st International Conference on Advanced Information Networking and Applications (AINA-07). From August 2006, he has been working with Simula Research Laboratory, Lysaker, Norway. His research interests include resource, mobility, spectrum, data, energy, and security management in wireless networks and mobile computing. He is a member of IEEE and IEEE ComSoc. Jun Zheng is a full professor with the National Mobile Communications Research Laboratory at Southeast University, Nanjing, China. He received his PhD in electrical and electronic engineering from the University of Hong Kong, China. Before joining Southeast University, he was with the School of Information Technology and Engineering of the University of Ottawa, Canada. Dr. Zheng serves as a technical editor of IEEE Communications Magazine and IEEE Communications Surveys & Tutorials. 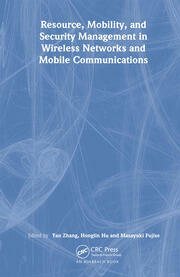 He is also the founding editor in chief of ICST Transactions on Mobile Communications and Applications, and an editorial board member of several other refereed journals, including Wiley Wireless Communications and Mobile Computing, Wiley Security and Communication Networks, Inderscience International Journal of Communication Networks andDistributed Systems, and Inderscience International Journal of Autonomous and Adaptive Communications Systems. He has coedited eight special issues for different refereed journals and magazines, including IEEE Journal on Selected Areas in Communications, IEEE Network, Wiley Wireless Communications and Mobile Computing, Wiley International Journal of Communication Systems, and Springer Mobile Networks and Applications, all as lead guest editor. Dr. Zheng has served as general chair of AdHoctNets’09 and AccessNets’07, TPC cochair of AdHocNets’10 and AccessNets’08, and symposium cochair of IEEE GLOBECOM’08, ICC’09, GLOBECOM’10, and ICC’11. He is also serving on the steering committees of AdHocNets and AccessNets, and has served on the technical program committees of a number of international conferences and ymposia, including IEEE ICC and GLOBECOM. Dr. Zheng has conducted extensive research in the field of communication networks. The scope of his research includes design and analysis of network architecture and protocols for efficient and reliable communications, and their applications to different types of communication networks, covering wireless networks and wired networks. 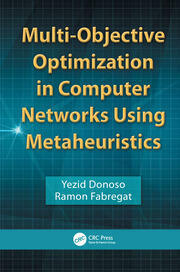 His current research interests are focused on mobile communications and wireless ad hoc networks. He has coauthored a couple of books published by Wiley–IEEE Press, and has published a number of technical papers in refereed journals and magazines as well as in peer-reviewed conference proceedings. He is a senior member of the IEEE. Hsiao-Hwa Chen is currently a full professor in the Department of Engineering Science, National Cheng Kung University, Tainan, Taiwan.He received his BSc and MSc with the highest honor from Zhejiang University, Hangzhou, China, and his PhD from the University of Oulu, Finland, in 1982, 1985, and 1990, respectively, all in electrical engineering. He worked with the Academy of Finland as a research associate from 1991 to 1993, and with the National University of Singapore as a lecturer and then as a senior lecturer from 1992 to 1997. He joined the Department of Electrical Engineering, National Chung Hsing University, Taichung, Taiwan, as an associate professor in 1997 and was promoted to a full professor in 2000. In 2001, he joined National Sun Yat-Sen University, Kaohsiung, Taiwan, as the founding chair of the Institute of Communications Engineering of the university. Under his strong leadership, the institute was ranked second in the country in terms of SCI journal publications and National Science Council funding per faculty member in 2004. 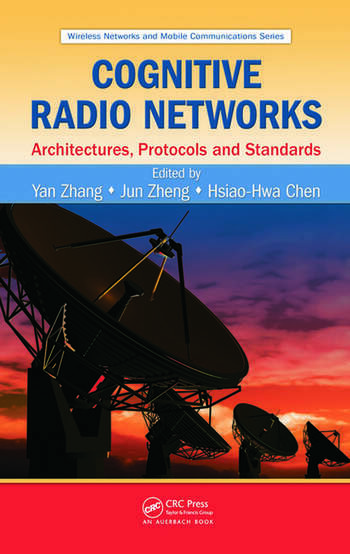 In particular, National Sun Yat-Sen University was ranked first in the world in terms of the number of SCI journal publications in wireless LAN research papers during 2004 to mid-2005, according to a research report released by The Office of Naval Research, United States. He was a visiting professor to the Department of Electrical Engineering, University of Kaiserslautern, Germany, in 1999; the Institute of Applied Physics, Tsukuba University, Japan, in 2000; the Institute of Experimental Mathematics, University of Essen, Germany, in 2002 (under DFG Fellowship); the Chinese University of Hong Kong in 2004; and the City University of Hong Kong in 2007. His current research interests include wireless networking, MIMO systems, information security, and Beyond 3G wireless communications. He is the inventor of the next-generation CDMA technologies. He is also a recipient of numerous research and teaching awards from the National Science Council, the Ministry of Education, and other professional groups in Taiwan. 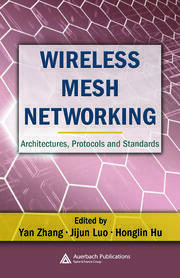 He has authored or coauthored over 200 technical papers in major international journals and conferences, and five books and several book chapters in the areas of communications, including the books titled Next Generation Wireless Systems and Networks (512 pages) and The Next Generation CDMA Technologies (468 pages), both of which were published by Wiley in 2005 and 2007, respectively. He has been an active volunteer for IEEE for various technical activities for over 15 years. Currently, he is serving as the chair of IEEE Communications Society Radio Communications Committee, and the vice chair of IEEE Communications SocietyCommunications&Information SecurityTechnical Committee. He served or is serving as symposium chair/cochair ofmanymajor IEEE conferences, including IEEE VTC 2003 Fall, IEEE ICC 2004, IEEE Globecom 2004, IEEE ICC 2005, IEEE Globecom 2005, IEEE ICC 2006, IEEE Globecom 2006, IEEE ICC 2007, IEEE WCNC 2007, etc. He served or is serving as an editorial board member and/or guest editor of IEEE Communications Letters, IEEE Communications Magazine, IEEE Wireless Communications Magazine, IEEE JSAC, IEEE Network Magazine, IEEE Transactions on Wireless Communications, and IEEE Vehicular Technology Magazine. He is the editor in chief of Wiley Security and Communication Networks journal and special issue editor in chief of Hindawi Journal of Computer Systems, Networks, and Communications. He is also the chief editor (Asia and Pacific) for Wiley Wireless Communications and Mobile Computing (WCMC) journal and Wiley’s International Journal of Communication Systems. His original work in CDMA wireless networks, digital communications, and radar systems has resulted in five U.S. patents, two Finnish patents, three Taiwanese patents, and two Chinese patents, some of which have been licensed to industry for commercial applications. He is an adjunct professor of Zhejiang University, China, and Shanghai Jiao Tong University, China. Professor Chen is the recipient of the Best Paper Award in IEEE WCNC 2008 and he is also a fellow of IEEE and IET.